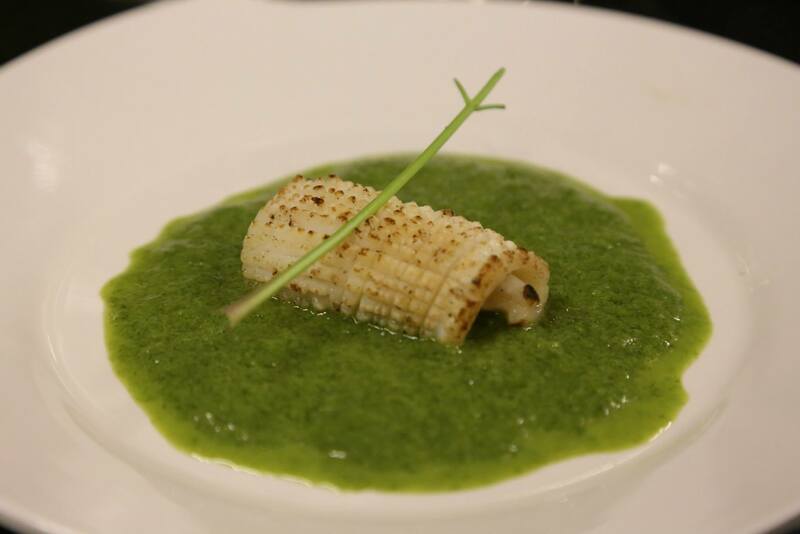 one of the dishes was a vegetarian version of flamed squid in spinach veloute. i chose silken tofu as i wanted a very soft tofu texture inside while the outside is crispy. 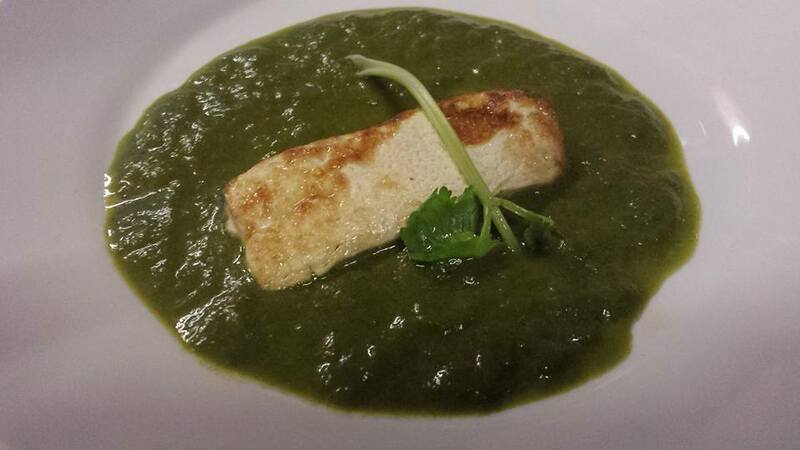 for the spinach veloute, i used spinach sauce recipe i self-created for the flame squid dish. 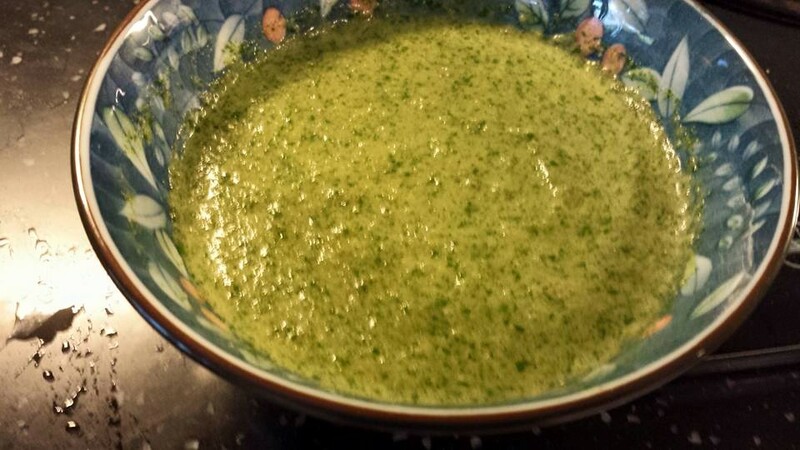 i used lots of vegetable to make the veloute so very tasty. 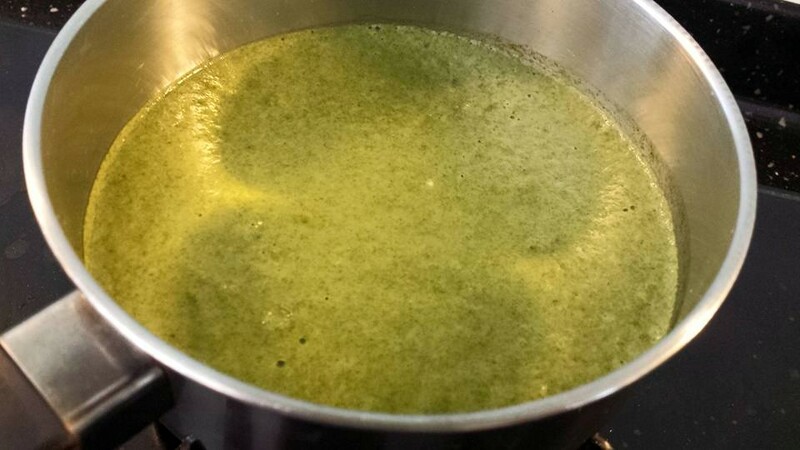 i fried in butter 1/2 onion, 1/2 stalk leek, 1 green pepper & a bunch of spinach leafs. then i placed them in a blender & added 2 tablespoon vegetable stock (since this is a vegetarian dish i prepared the vegetable stock beforehand instead of chicken stock) & 2 tablespoon extra virgin olive oil & salt & pepper to taste. for the silken tofu, i used one packet of silken tofu & cut into 8 slices of 1cm+ thickness. then i heat up enough olive oil in a non-stick pan, added the tofu & lowered the fire. i added sea salt from the grinder dispenser liberally & covered the pan. when it was browned, i turned over & cooked till the other side was browned. 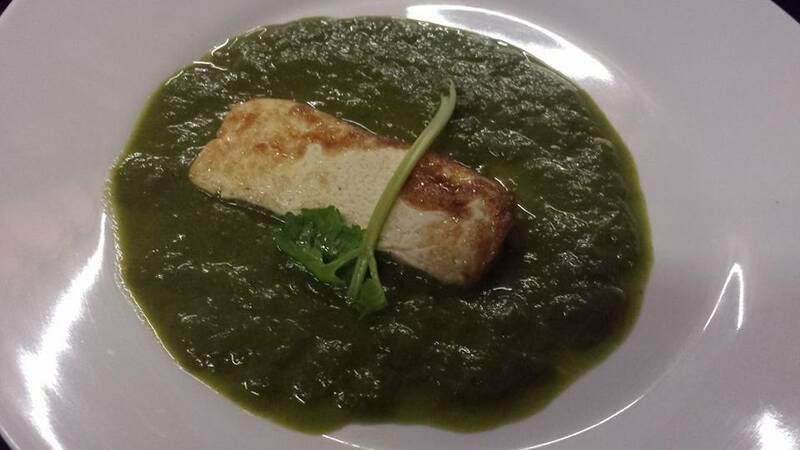 This entry was posted in Recipes and tagged crispy, flamed squid in spinach veloute, shallow-fried, silken tofu, spinach veloute, vegetarian. Bookmark the permalink.